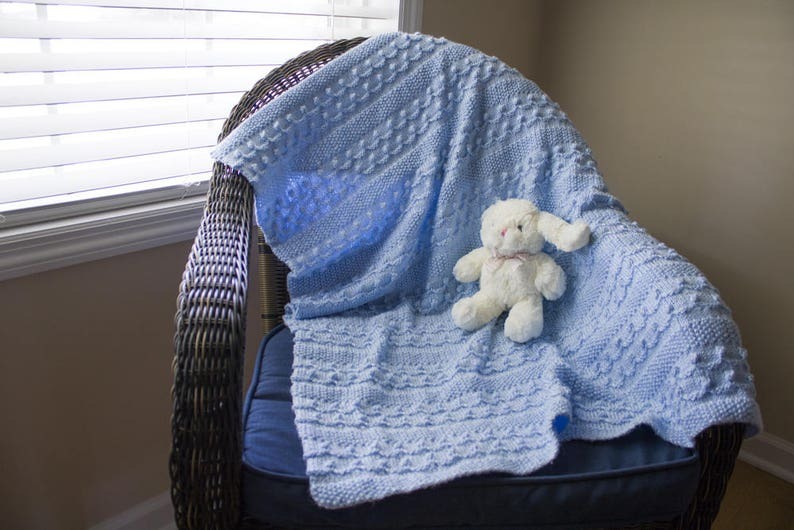 Hand knitted baby blanket afghan. 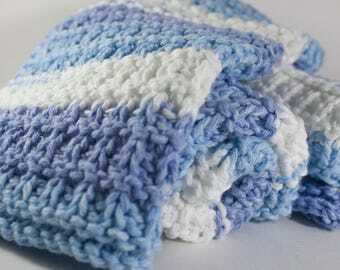 Made with soft acrylic yarn that is machine washable. Would make a lovely baby shower gift. Pink, Blue, White and Mint Green. Item comes from a smoke free and pet free home. I accept Direct Checkout with Major Credit Cards, and PayPal. If you would like to cancel an order, payment will be refunded immediately unless item has already shipped. All items are ready to ship and will ship in 1-3 days. All shipping is done thru USPS. Depending on size/weight of package, I use USPS First Class or USPS Priority Mail. All shipping is calculated depending on your location. If there is a miscalculation in shipping and there is a significant difference in the cost of shipping and what is paid, I will refund the difference. Ready-to-Ship and In-stock items will ship within (1-3) business days of payment clearing through Direct Checkout or PayPal (excluding weekends and federal holidays).